Every year, mothers around the world are celebrated with their own special day, Mother’s Day. But you may have wondered, how did this all start? Is this something instituted just for commerce, or was there actually someone who for the first time made an issue of honoring their mother? Well, yes, there actually was a real start to this tradition, way before TV commercials and department stores jumped on the commercial band wagon. Mother’s Day was first celebrated in 1908, when Anna Jarvis held a memorial for her mother in Grafton, West Virginia. Her campaign to make “Mother’s Day” a recognized holiday in the United States began in 1905, the year her beloved mother, Ann Reeves Jarvis, died. Anna’s mission was to honor her own mother by continuing work she started and to set aside a day to honor mothers, “the person who has done more for you than anyone in the world”. Anna’s mother, Ann Jarvis, was a peace activist who cared for wounded soldiers on both sides of the Civil War and created Mother’s Day Work Clubs to address public health issues. Due to the campaign efforts of Anna Jarvis, several states officially recognized Mother’s Day, the first in 1910 being West Virginia, Jarvis’ home state. Jarvis’ push to make create an official holiday was met with opposition by some. Sen. Henry Moore Teller described the notion of Mother’s Day as “absolutely absurd,” and “trifling.” In 1914, President Woodrow Wilson signed the proclamation creating Mother’s Day, the second Sunday in May, as a national holiday to honor mothers. Although Jarvis was successful in founding Mother’s Day she soon became resentful of the commercialization and was angry that companies would profit from the holiday. By the early 1920s, Hallmark and other companies started selling Mother’s Day cards. Jarvis became so embittered by what she saw as misinterpretation and exploitation that she protested and even tried to rescind Mother’s Day. The holiday that she worked so hard for was supposed to be about sentiment, not about profit. She organized boycotts and threatened lawsuits to try to stop the commercialization. Nevertheless, many countries around the world adopted Mother’s Day which is now a recurring annual celebration. 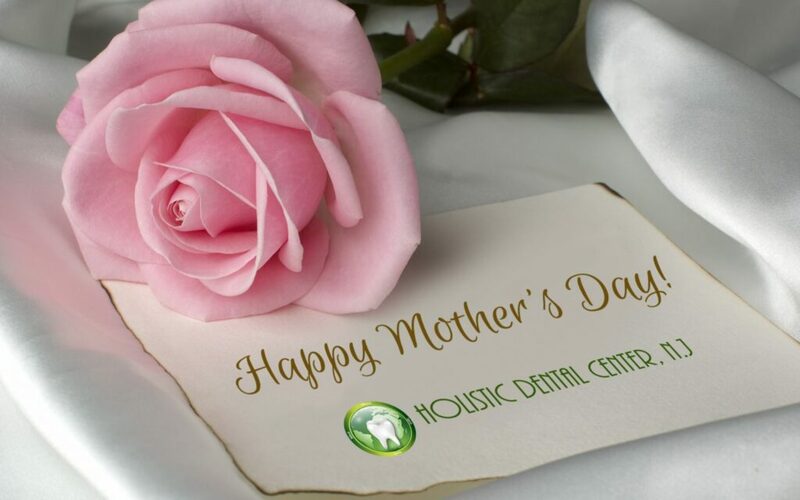 We, at Holistic Dental Center New Jersey, celebrate all mothers in our community and hope this day will be one of thanks for everything mothers have done and are doing around the world!